Yes, at first glance it looks like an apple pie. But as I learned growing up, Dutch baby pancakes are totally unique. 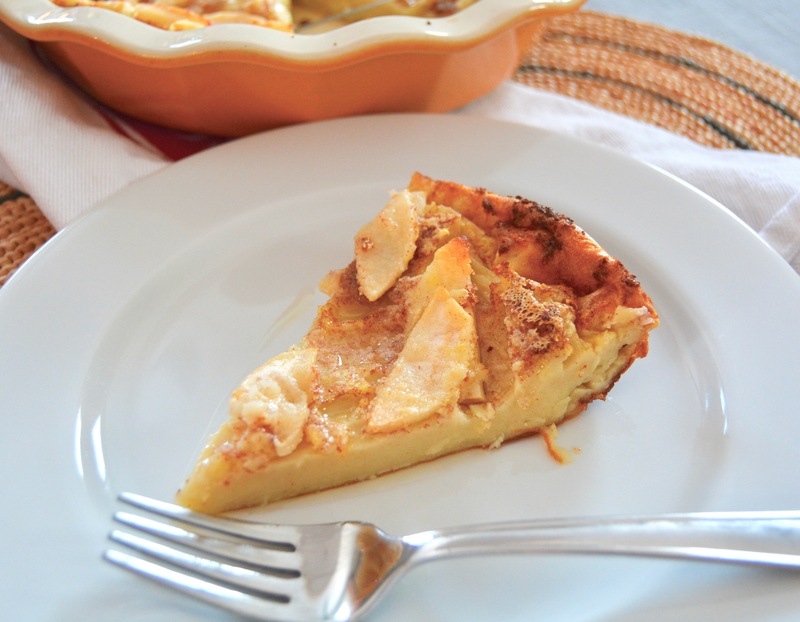 Take this Cinnamon Apple Dutch Baby Pancake (my personal favorite). It is sweet, but not overly so. It has a delicate custardy texture. And it’s incredibly versatile. Serve it for a special weekend brunch dish, or add a scoop of vanilla (or cinnamon) ice cream for a mouthwatering dessert. You can experiment with spices, too; a pinch of cardamom and nutmeg would taste amazing. 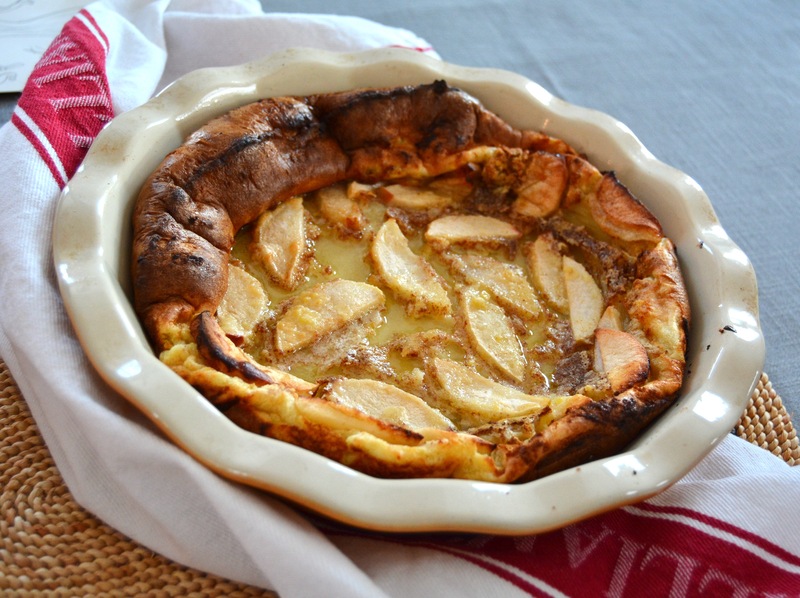 Ready to whip up a Cinnamon Apple Dutch Baby Pancake for your family? Here’s how, in just a few easy steps. Step 2: Put the butter in a 10-inch pie plate and place the pie plate in the oven while it preheats. After 5 minutes, when the butter has started to melt, add the apple slices to the butter in one layer and continue to preheat the oven. Step 3: Meanwhile, in the jar of a blender, add the sugar, eggs, flour, milk, vanilla, and cinnamon and blend until completely smooth. Step 4: Once the oven has finished preheating, carefully remove the warmed pie plate and add the batter. The apple slices will float to the top. Step 5: Return the pie plate to oven and bake the pancake for about 20 minutes, or until the edges are fully puffed up and the center is puffed and set. Remove from the oven and cool for about 2 minutes, then slice and serve hot. Note: Recipe makes one 10-inch Dutch baby pancake.